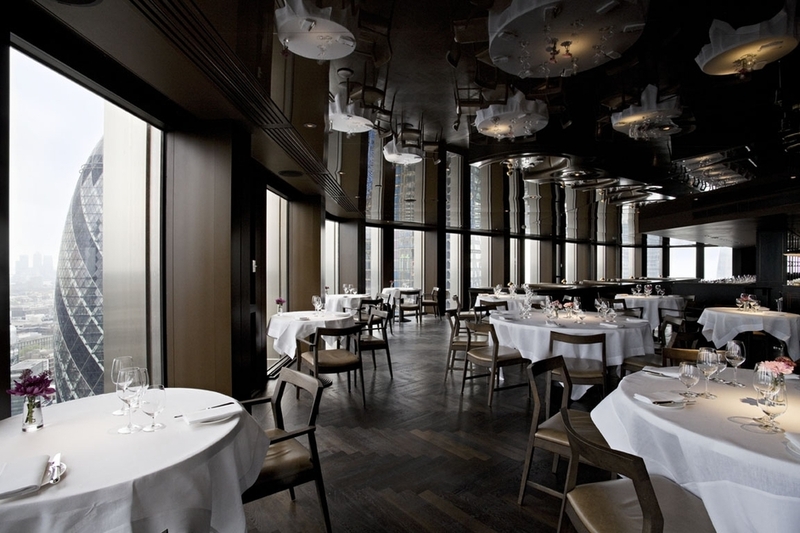 Jason Atherton's City Social takes over the Tower 42 spot vacated by Gary Rhodes. Situated high up on the 24th floor of the famous tower, the restaurant offers fanatastic views of the Gherkin, the Cheesgrater and across the city. Head chef Paul Walsh (previously sous chef at Gordon Ramsay's Royal Hospital Road) has worked closely with Atherton to design the City Social menu showcasing the best of British ingredients. Interiors have a contemporary art deco look courtesy of Russell Sage Studios - all rosewood panelled boards, chrome and smoked glass, brass and mirror accents - centered around an open kitchen. The art deco theme is also felt in prohibition era cocktails served at the 85-seat bar and made with Scotch, gin and cognac to a menu by award winning mixologist Gareth Evans, and live jazz plays in the bar every Saturday afternoon from 12noon till 4pm. Jason Atherton is behind some of London's best restaurants with the Michelin-starred Pollen Street Social, Little Social across the street, Social Eating House in Soho, and Berner's Tavern at The London Edition, Ian Schrager's stylish Fitzrovia hotel. With City Social the chef, the first British cook to complete a stage at Spain's famous elBulli restaurant, proves there's still room for him to go up in the world. City Social gyms, sporting activities, health & beauty and fitness. The best pubs near London City Social. City Social clubs, bars, cabaret nights, casinos and interesting nightlife. Where to have your meeting, conference, exhibition, private dining or training course near City Social. From cheap budget accommodation to luxury 5 star hotels see our special offers for City Social hotels, including Apex London Wall Hotel from 88% off.